Brno is full of families with small children. There are many kid friendly venues which are ready to welcome you and entertain your children for hours. Here’s a comprehensive list of places to visit: from restaurants to hobby centres. Non-smoking Café with children´s corner, free Wi-Fi, changing table for babies, microwave and high-chairs. Traditional Italian Pascucci coffee and plenty of desserts. Children´s café for the smallest kids in the centre of Brno. Very pleasant place for entertaining your children and for taking your rest. Changing table, potty and kids´ corner are available. Very nice place, which also offers space for children´s parties. Large children´s corner with a dragon in the middle. Offering various types of drinks, coffee, and desserts. Café with a playground for your kids but also offering classes such as gym, pottery, bead making and more. During the summer months there is a sandy playground and trampoline. Cosy place for mums and kids. Full of children´s toys such as a trampoline, a slide, small kitchen, skittles, and a playground. A small library for children, dominos, puzzles and dolls. Kraválna is the ideal place for noisy children, where they can do what they like. Coffee, non-alcoholic drinks, and desserts are offered. The whole restaurant is equipped as a train area. Railways, stations, bridges, many different kinds of trains delivering drinks directly to your table. Unusual and especially attractive for boys. Reservations needed, extra charge is applied when drinks are delivered by train. Good pizza and pasta, reasonable prices. Big kids’ corner in the front part of restaurant (make a request to sit near this area when you’re with your kids). High-chairs available. Very pleasant restaurant with tasty food, kids’ corner inside, high-chairs available. In the summer, huge summer terrace with children’s playground outside. Lovely surroundings, great for trips in the woods and countryside. Comfortable restaurant with all kinds of dishes. Special children´s menu with presents. Children´s corner with a slide. Parking in front of the restaurant. A big room for family and birthday parties. Rebio restaurants focus on a healthy lifestyle and healthy food. They offer BIO quality food and offer salads, soups, main dishes, and vegetarian specialities. There are also fruit and vegetable cocktails and BIO coffee. Restaurants also obtain children´s corner and free Wi-Fi. Ponny school offers preschool education at high quality. Teachers communicate in English and teach kids correct motoric and creative activities. The classes are divided into 3 parts called bunnies 2-3 years old, kangaroos 3-5 and tigers 5-7. The classes are daily except for the weekend, which are for part of the day. Kids Garden is an English kindergarten which specializes in music and art. They also offer outdoor stays and family days. You can try this preschool for some time for free. ISB provides Kindergarten to High School students from all over the world with the necessary tools to become committed, lifelong learners and responsible, engaged citizens of the world. Their comprehensive education is exclusively in English. It is not compulsory to be an ISB pupil. See website or contact Coordinator for more information. Elementary arts schools offer courses for young people across the range of performing and visual arts – painting and drawing; photography; music (piano, keyboard, accordion, guitar, violin, cello, drums and many others); singing; dance. 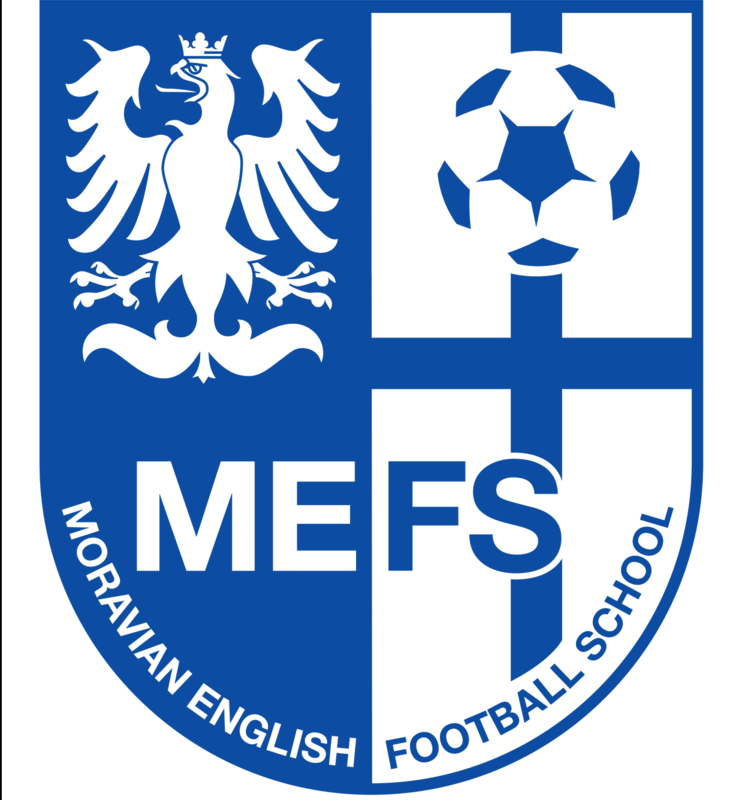 Both public and private basic arts schools exist; the website lists all such schools in Brno and the surroundings. Usually, they offer preparatory classes followed by more advanced classes once or twice a week according to a curriculum common to all basic art schools in the Czech Republic. Classes are held in the afternoon. English courses on request, mainly in the form of individual lessons (in some cases also in German, Russian). Leisure art school which offers classes for children and young people. Classes offered include creative arts such as drawing, dance, theatre, and multimedia. This leisure centre offers a wide range of activities, classes, outdoor camps, and education programs. Some activities for children are led by tutors capable of speaking foreign languages – look up the details on the website. Školský komplex is a cluster of schools, which include an English primary school and also a leisure art school. This school offers classes in music, drawing, pottery and theatre. Irish dancing courses for children from the age of 6 (earlier only upon agreement) Taught by tutors who study under the supervision of a TCRG certified Irish dancing teacher. Possibility to compete on the European level and to continue dancing in the Démáirt ensemble. The Salesian Youth Centre offers a Mothers’ Club, around 200 activities for children of school age, and a community of university students. Activities in the Mothers’ Club are held every week; they support the development of the child-parent relationship. Tutors speak English. Some activities for children of school age led by tutors capable of speaking foreign languages (English, German, Italian). The community of students meets every Thursday evening; speaking in a foreign language is no problem. English-speaking families that attend our activities and cooperate with the Centre live in the neighbourhood. Various activities for English-speaking children and their families. As part of the English preschool it offers a wide range of sports, wellness facilities, etc. “Centre for Families” offers free-time activities, educational programmes and leisure clubs for parents and children in English. MiniClub for mothers, dads, grannies and grandpas with children from 0 to 6 years of age, free of charge. Art activities, singing with children, drama, motoric skills development, children´s rhymes. Children’s Club age 6-12, Youth Club 12-20. Czech and school tutoring. A whole range of cooking courses for adults and children are offered. Some courses held in English – for details see website. Great idea for a gift. Modern cinema multiplex, offering new movies usually in English with Czech subtitles. 3D movies shown. Unfortunately, fairy tales and movies for kids are mostly in Czech. Two sites, the Olympia shopping centre on the outskirts of the city, and the Velký Špalíček shopping centre, right in the city centre. Vida park is a huge place, where you and your children can find a lot of things to do. The exposition is divided into 4 parts – Earth, Civilization, Humans and Microworld. A separate Children´s Science Centre is for children 2-6 years old. Open daily. Kids – especially older ones – usually enjoy riding on the ferry boats at the Brno reservoir (in fact for ecological reasons they’re electric boats, but they look like steamboats). The boats travel up and down the lake all day. You can go right to the far end, where you will find Veveří Castle, or get off at any of the intermediate stops and wander around the woods, discovering nice restaurants, playgrounds or beaches. The castle itself is spectacular to see, but it had been more or less neglected for fifty years, so is only now starting to come alive again. Tours of the interior are fairly restricted, but walking around the castle, with its great towers and walls and inner buildings, is enjoyable, and almost every weekend there’s some kind of event there. The “steam“ boats can also be rented for events. Outdoor park with life-size models of dinosaurs that move, make dinosaur sounds, etc. Very exciting for kids. Play areas, 3D cinema. Great day-trip for the whole family. Note: DinoPark can only be entered via the Vyškov zoo (see separate entry). Lots of spooky experiences for kids of all ages. Experience the Wild West. Lots of activities for kids and adults. Horse shows, trick shooting, Western cabaret, variety show, panning for gold, hurling the tomahawk, etc. Big covered playground for kids. Good restaurant. A really enjoyable experience for the whole family. Can be rented for company events. Great Wild West complex. Extensive Wild West town, Indian Reservation, many activities for all ages (rodeos, Wild West shows, American square dance lessons, etc. ); possibility to rent Western costumes. Accommodation available, wooded area, camp ground, swimming pond. Model of the narrow railways, which can be found not only in the Czech Republic. There are plenty of railway buildings such as station buildings, warehouses or bridges. You can also buy a model of a train. Opened every first Sunday in the month from May to September. World full of charming railways, slot cars and also wooden railways. Full of various figures, houses, churches and beautifully made streets symbolizing everyday life. You can buy small trains, cars or other things in the shop or e-shop. Opened daily except Mondays and Tuesdays. Brno’s the third-largest producer of hot-air balloons in the world – so why not try one of Aviatik’s exciting balloon rides? Flights over Brno, the surrounding countryside, southern Moravia, even the Austrian Alps, during the day, at night, at dawn – take your pick. Perfect for a special occasion or as a gift. Fascinating museum with exhibits of old motorbikes, cars, engines, planes (especially attractive for boys) and many more. Temporary exhibitions during the year. Big hands-on interactive area. Carpet with wooden blocks for small kids and many experiments to help understand physical phenomena. Very interesting museum dealing with the origin and evolution of the human race and the beginnings of human culture; both permanent and temporary exhibitions. Life-size models of mammoths, prehistoric people, etc. and unusual findings from archaeological excavations in Moravia. Attractive for children and adults of all ages. Set in the middle of a beautiful park by the river. Located inside the historic Měnín Gate – the only surviving gate of Brno. Good exhibition of toys from the past down to the present – dolls, doll houses, toy prams, sets of dishes, animals, toy cars, puppets, etc. Exhibition changes regularly. A fascinating collection of puppets from productions by the Radost Puppet Theatre over the past sixty years. Housed in what looks like the prow of a great sailing ship. Something special for kids and adults. A fascinating collection of old planes, helicopters and everything connected to aviation. Especially interesting for boys and dads. Open April-October (weekends), July-August (daily except Monday). Unconventional museum contains a lot of types of typical Czech tractor brand called Zetor. You and your kids can sit in these huge vehicles and also look at the engines. Many new prototypes of Zetors can be seen. The museum offers plenty of audio-visual components. Opened daily. 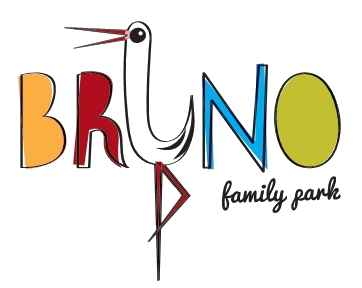 BRuNO family park is a new modern play centre for families with children aged 0-18 that offers fun regardless of the weather. The unique play equipment develops children's imagination, creativity, movement skills, and enhances their education and upbringing. BRuNO family park is an oasis of fun and laughs where nobody will ever be bored. It also offers animation programmes, a parental relaxation zone, and refreshments in Zobka Brasserie. Great play area for children ages 2 – 10. Inflatable castles, playground for babies, merry-go-round, crafts, slides, ropes – part outdoors, part covered by party tent. Ticket combination with swimming pools available (see Brno Swimming Pool). Open July-August. Huge modern play area for children of all ages and adults. Different areas for different age groups, with slides, ropes, water activities, swings, kids train, long path for cycling and roller skating. Climbing wall (largest in Central Europe) available for adults. Fast-food, coffee, toilets available. Open April – October. WikyLand is a family centre, one of the largest in Moravia. It´s based on physical activities for kids aged 3-15. WikiLand offers a huge amount of different activities and your children will really enjoy it. Laser Game is an action game, which combines computer games with paintball or airsoft. The advantage is that it doesn´t hurt and doesn´t colour your dress. During 15 minutes of play you are running, shooting and enjoying time with your kids and friends. For more than 40 years, The Little Gym has been offering unique exercise programmes for children from ages 10 months to 12 years in many countries. The Little Gym is a slightly different type of gym where children develop their physical skills and personalities in relation to their ages and abilities in a non-competitive yet motivating atmosphere. The most successful baseball club in the Czech Republic. Accepts players starting 5-8 years of age. Players with baseball experience (USA, Canada, Japan…) accepted up to 19 years of age. At least one English-speaking coach in each age category. Modern rope centre with three different routes (different difficulty levels), suitable for children from 4 years up. Kung-fu is a traditional Chinese self-defence and battle style. Trainings for children are made as a complete preparation for motor skills and coordination of their bodies. The training includes working with instruments, basic warm-up and exercising. The website has links to all of the bowling lanes in Brno and the surrounding area. In most cases booking in advance is required/recommended. Horse riding, pony riding school, regular courses or individual lessons. For children aged 4 and older. Possible in English. Courses take place outdoors and indoors. Huge sport centre with a lot of activities. The venue offers a lot of courses such as tennis school, badminton school or some classes for motoric skills. Inside you can find a children´s playground or babysitting up to 2 hours. A café is also included. Playing monkey is a sports club for children. They offer physical activities and games for children 0,5-6 years. The main aim is to entertain kids and teach them to enjoy activities. It´s also possible to join a Playful English course, which is for kids 2+. Do you like adrenalin high in the sky? Then take your children and visit this rope centre, where you can link strength and agility. This large aquapark contains 7 pools, 20 water-slides, 24 types of saunas, 4 whirlpools, wellness zone and a restaurant. A lot of different events during the whole year. Completely refurbished in 2004, with stainless-steel indoor and outdoor pools (50m outdoors, 25m and 15m indoors), a whirlpool, steam bath, etc. Many facilities for kids (slides, wading pool, etc.) available outdoors in the summer season (June – September). Modern facility with three pools: 25m for swimmers, 25m for non-swimmers with slide, and shallow pool for the younger kids. Playground, lawns, refreshment shops available on site. Open daily during the whole year. Modern swimming area – outdoors with one swimming pool for swimmers, second pool for non-swimmers with inflatable slides, and a wading pool for the younger kids with a playground in the centre of the pool. Pleasant area – trees, lawns, large playground for children, refreshment area. Connected to Funpark (see below); ticket combination with Funpark available. Pleasant swimming area, with three pools formed like a river, with different depths according to swimming ability, shallow water for the youngest included. Beautiful natural surroundings – trees, lawns. New, modern water park, open whole year round. Three pools (one for swimmers, one for relaxation with bubbles, one on the roof during summer). Shallow pool for small kids and whirlpool included. Café with kids’ corner available. Brno´s largest swimming pool, 50m. Two pools available, one for swimmers and one for relaxation with water temperature of 33°C. Two pools available, one for swimmers and one for relaxation with water temperature of 33°C and a slide, shallow pool for younger kids. Outdoors: two pools open in summer – one for swimmers and one shallow pool for small kids. New, modern wellness centre, offering pools for swimming, relaxation, shallow area for small kids. Great for the whole family. High standard, restaurant and big playroom included. Programmes and activities for children (mostly in German). Buggy rent for toddlers. Outdoor ice skating rink. Good for skating for families and children. Open only in winter season – for opening dates see website. Small outdoor ice skating rink. Good for skating for families and children. Most appropriate for beginners and small kids. Open from mid-December to end of February. Outdoor winter stadium. Good for beginners. Courses of skating. Favourite skating rink close to the shopping centre (near Subway restaurant). There is a stand where you can borrow ice skates and a small stand with refreshment. Four beautiful caves in the Moravian Karst area, very much worth seeing. Interesting for children aged 3 and up. The visit to the Punkva Caves is the most interesting; it includes a cruise on an underground river through the caves and a visit to the bottom of the Macocha Abyss. An unforgettable experience. Near Punkva there’s also a lift to take you to the top of the Macocha Abyss, with a spectacular view to its depths. Parking possible by Skální mlýn restaurant (approx. 500 m from Punkva Caves entrance) or at the Macocha Abyss. From Skální mlýn there is a land train to Punkva Cave. Open all year round. Online ticket strongly recommended, especially during the summer season. It is one of the most beautiful locations in the Czech Republic. You can take your children for a day-trip and visit ruins of Děvičky and Sirotčí Castle. You can also enter Na Turoldu cave near Mikulov. If you are tired after the trip, enjoy coffee in Café Fare in a picturesque village Klentnice. This park serves as a teaching facility for Mendel University but is also opened to the public. On the area of 2 ha you can find more than 10.000 different types of orchids, trees and other plants. Exhibitions are regularly held in the main building near Bieblova tram stop. Smaller garden than the previous one, but very nice and cosy. Each plant has its name written on a nameplate. A large greenhouse contains various types of plants, small ones and big ones. Interactive boards in Czech and English are provided. The Open Garden in Brno is an ideal place for relaxation, education and entertainment. It includes an interactive educational garden of 4 elements and also an agricultural cycle from soil to fork. Sheep, hens, and rabbits are present. The most significant park in Brno is placed in the heart of the city. You can find playgrounds for your children and large spots on the grass for picnics. The park also contains a traffic playground for small children on their bikes where they can learn traffic signs and rules. There is a place for a barbecue during summer months close to the children´s playground. Modern Zoo with many species of animals from all parts of the world except Antarctica. Special areas for animals from Siberia, northern Canada, and the African plains. A mini-zoo for little kids where they can feel and touch the animals, pony rides, and there are a number of playgrounds scattered throughout the zoo. A small land train travels through the zoo for those who are tired (or lazy). Fast- food outlets and restaurants. Perfect for a day’s outing. Different activities available (Halloween crafts, Christmas zoo. etc.). Regular club for children to learn about animals. Beautiful tiny zoo specializing in primitive and exotic species of domestic and farm animals. Feel and touch area where children can touch and feed all kinds of farm animals. Several playgrounds and educational activities. New farm building for different exhibitions, educational activities, movies. Every 20 minutes a land train or bus (according to the weather) takes people for free to the DinoPark (see separate entry under “Fun Things”), which can’t be entered separately. Including the DinoPark, it is great day-long trip for the whole family. Special centre which concentrates on lamass, sheep and goats. You and your children can touch, feed, brush, and enjoy your time with the animals. Open April-October (Wednesday+Weekend) and November-February (Sunday). One of the most significant historical sights in Brno right in the centre of the city. You can take your children for a trip around the beautiful castle, through the park or even to some exhibitions or take a tour through the castle. There are exhibitions focused on children from time to time. History of Brno and also Moravia is shown here. A Large castle with a beautiful scenery near the Brno reservoir, accessible also by the “steam“ boats. Take a short walk at the courtyard or take a tour of the castle. If you are more interested in nature, look at the map and find possible routes how to get there on foot. Small but cosy castle, which offers traditional markets with old crafts, food and liquors. Opened only on weekends, during summer months also daily except Monday. A magnificent gothic castle which wasn´t spoiled by wars or fires. Many different additions to the castle throughout the centuries make up its today´s appearance. Very much a recommended site. Family point is a friendly place for all families. This office makes better living conditions for families by offering places for meetings with different families, children´s playground, etc.